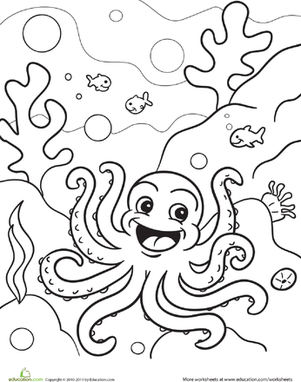 This pilgrim coloring page shows kids what the U.S. settlers looked like. 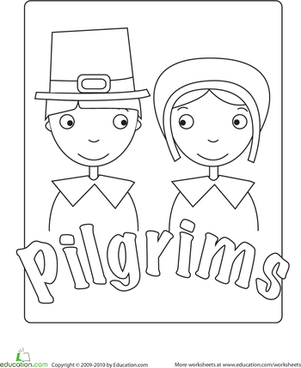 These pilgrim children embody the spirit of Thanksgiving, right down to the buckle on the boy's hat. 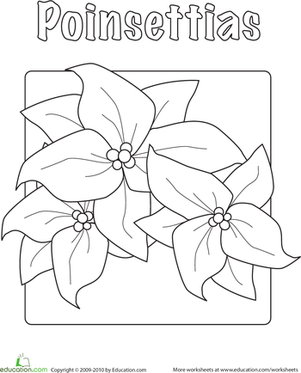 Let your child color in this pilgrim coloring page for a festive activity. 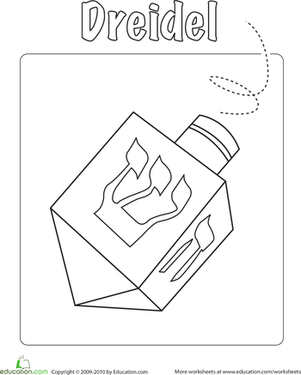 Don't forget to hang the pilgrim coloring page up for a Thanksgiving decoration! 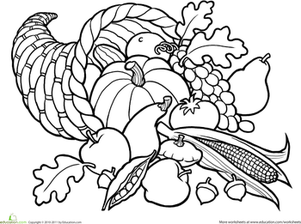 A Thanksgiving coloring page of a pilgrim playing in a pile of fall leaves. 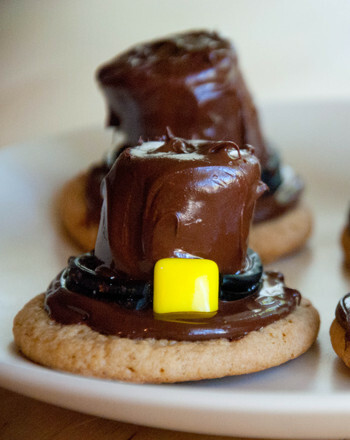 Let your kindergartener get in the Thanksgiving spirit with this fun pilgrim hat.